Xian Ting Zhi Xing means "The Star of the Leisure Courtyard". This is a very good tea cake for its price, and as with all Boyou products, you can expect exceptional quality. 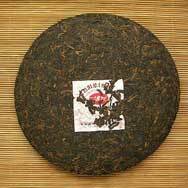 The tea cake was compressed in year 2007 using tea leaves that have been aged since 2005, so it is ready for drinking now. 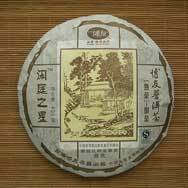 It was awarded the "Cha Zu Kong Ming Xiang Jiang" Gold Award in the Pu Er Strategy Union Meeting in 2007. A good addition to the tea menu for variety, this tea provides a full body with a smooth yet distinctive Pu´er flavor. 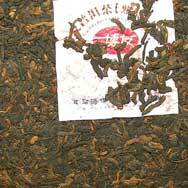 It has the scent of fermented Pu´er, but not overpowering and brews with a dark strong color. The product arrived in a perfect condition. 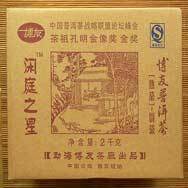 The smell of this puer tea is very good at a cheaper price than others that I ordered.